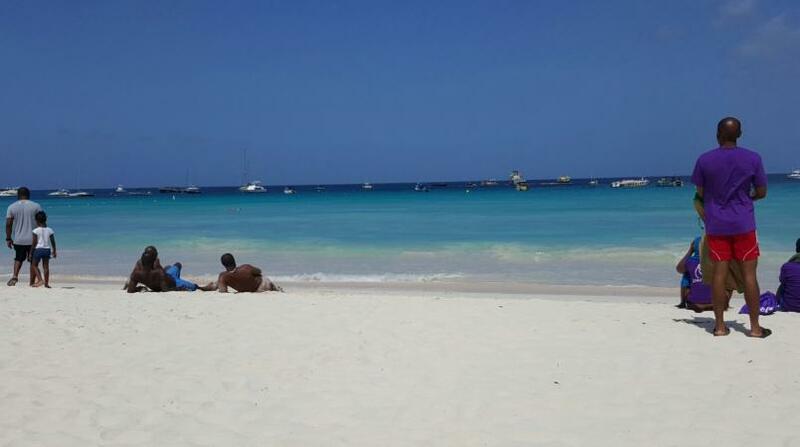 Browne’s Beach stands out in the minds and hearts of many locals and visitors as one of the best, if not the best beach in Barbados. It is on the South Coast of the island in Carlisle Bay, along Bay Street. Few waves, very calm waters. Great for learning to swim. The Barbados Defense Force scuttled a ship - MV Trident, out at sea in line with the Esplanade gazebo to enhance the reef bringing more fish and marine attractions for divers and those who prefer snorkelling. Sandy shore for lounging, running, playing paddle ball and sand castle building. It has a restroom and shower facility. Thank God for small mercies, except after 5:00pm. There is a lifeguard tower. Sno cone vendors have a tendency to pop up at just the right moment. What's the right moment? When de sun all kinds uh hot...so midday or actually anytime between 8:00 am and 5:00 pm nowadays. If you’re on island to surf, past straight by this flat beach. Do not pass ‘Go’ do not collect $200. You must keep a watchful eye on your belongings when left on the shore, unfortunately. If you don’t pay attention, you could swim and skip and frolic from Browne’s Beach over to Pebbles Beach. The rocks on the seabed will let you know the difference. Also, Browne’s Beach runs from the Bay Street Esplanade all the way into Bridgetown down by Pirate’s Cove, but some people call the section behind ‘The Boatyard Beach Club’ Boatyard’s beach. However, it’s all one beach – Browne’s Beach. Barbados 101: Cutters are not knives? Barbados 101: Cats and dogs differ?